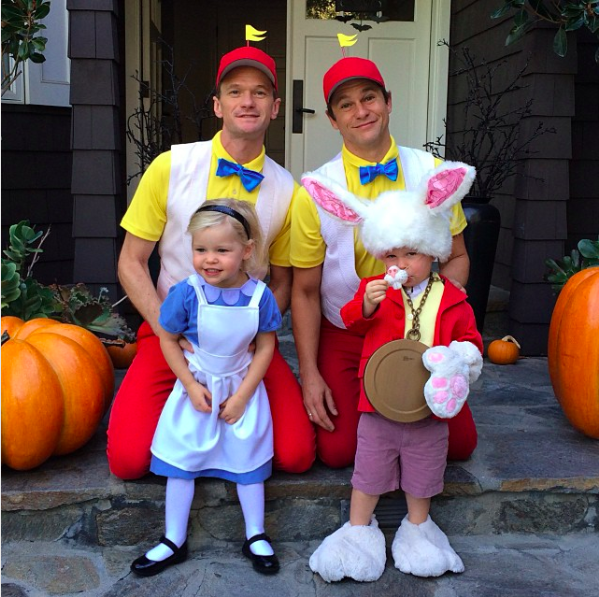 Neil Patrick Harris and his husband, David Burtka, established themselves as the family to watch when it comes to Halloween back in 2011, when their twins were only a year old. So, before we get to the big 2018 reveal, let’s look back at their brilliance through the years. 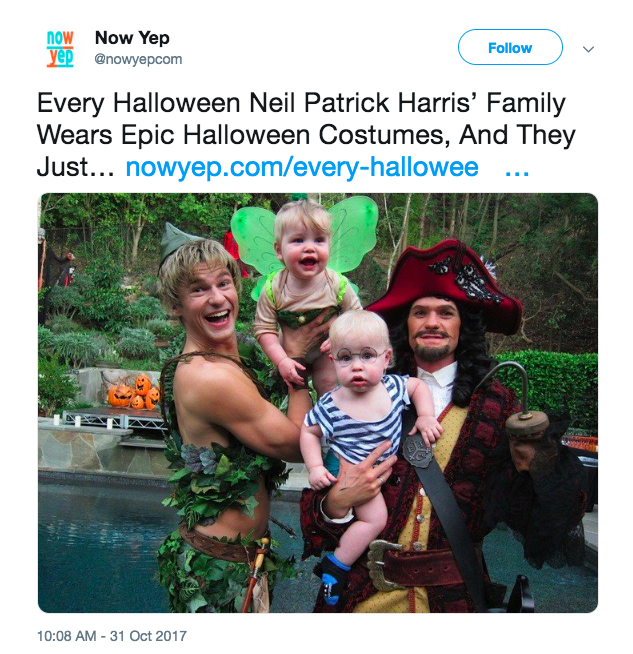 That first family costume, the one that made everyone sit up and pay attention, they went as Peter Pan and Captain Hook with their tiny little Smee and Tinkerbell to round out the party. 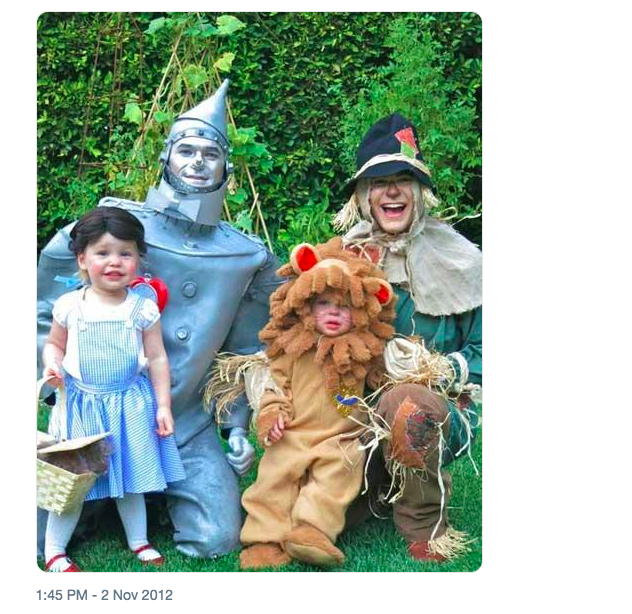 In 2012, the twins were toddlers and dressed as Dorothy and the Cowardly Lion while the adults covered the Tin Man and Scarecrow. 2013 gave us an Alice in Wonderland theme for the kids’ preschool party…. And took a turn as classic horror film monsters on the actual day. 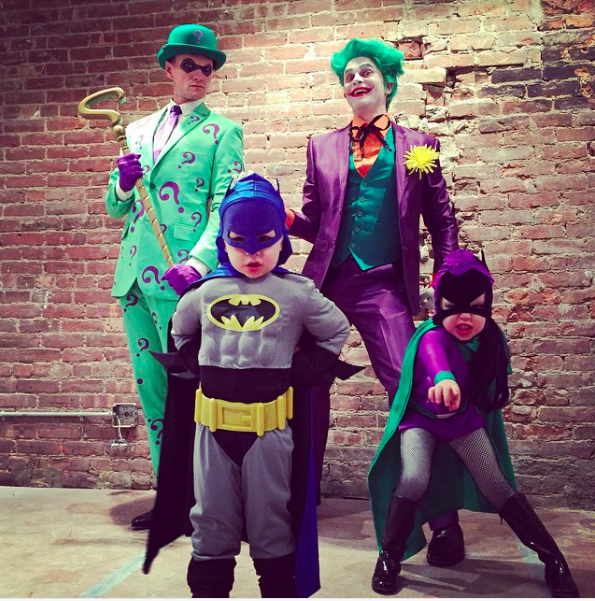 In 2014, Harris went as the Riddler, Burtka as the Joker, and the kids rocked out Batman and Batgirl, respectively. 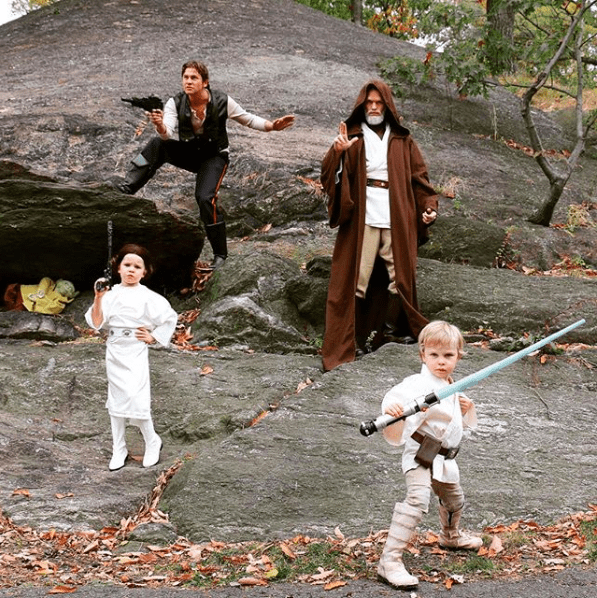 Three years ago came an absolutely delightful Star Wars scene, lightsabers and all. 2016 gave us old Hollywood, with Marilyn and James Dean, Groucho Marx, and Charlie Chaplin, all of whom were eerily on point. 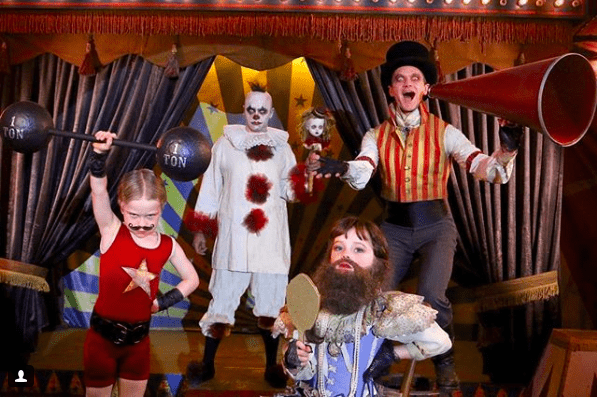 Last year they went with a circus side show theme with the twins dressed as a strong man and bearded lady and their dads really committing to creepy clown costumes that would have made Pennywise proud. 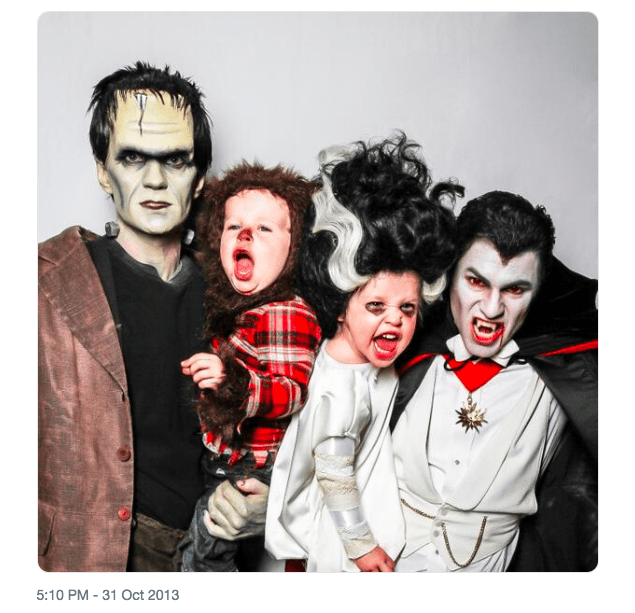 And now without further ado, what did Neil, David, Gideon, and Harper dress as for Halloween, 2018? 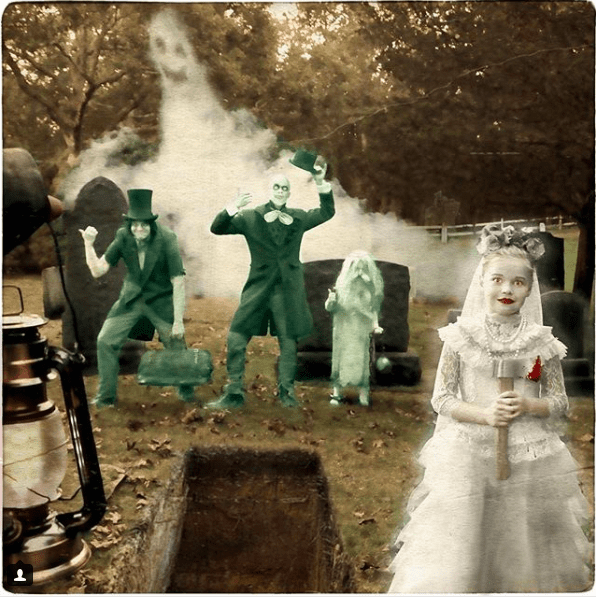 A totally inventive and spot on depiction of the Hitchhiking Ghosts from Disney’s The Haunted Mansion ride. 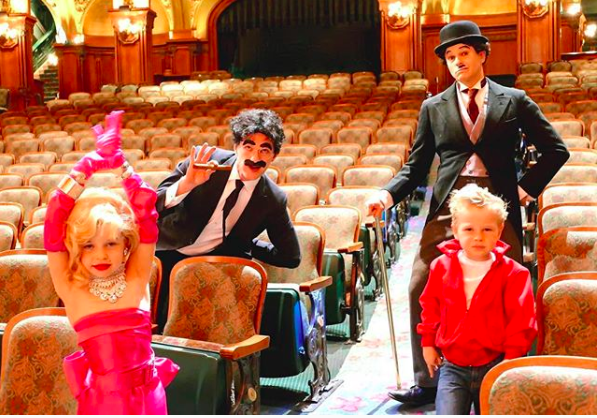 Neil Patrick Harris, cute kids, Disney, and Halloween creepiness? Nailed it.